The majority of Google news this week surrounds it's new operating system, Android, and it's entrance into the mobile phone market with T-Mobile. This will be the subject of my industry update. 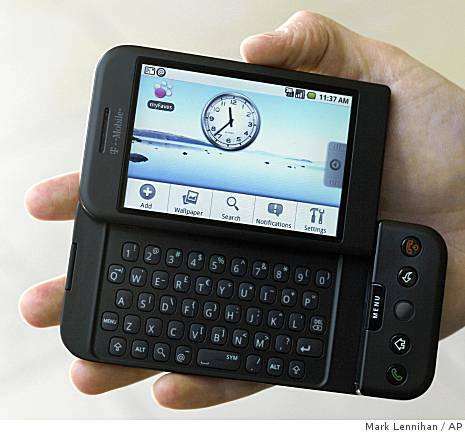 On October 22nd, 2008 Google and T-Mobile introduced the G1. A smartphone that features both a touch screen (like the iPhone) and a physical keyboard, the G1 represents a new development for Google. Starting as a simple search-engine site just 10 years ago, Google has expanded into an amazing corporation, and their new developments with Android and the G1 represent their next step into the future. Check out the G1 at the T-Mobile G1 homepage. If you go to Google.com, you can see that Google is advertising the G1 on its homepage. It reads, "New! The G1 phone is on sale now. Learn more." It's hard to imagine the kind of impact this advertising will have. Millions upon millions of people use Google each day. This could prove to be an enormous boost for G1 sales! How does the G1 compare to the iPhone? One key difference between the G1 and the iPhone is that the G1 offers an actual physical keyboard, which may appeal to many individuals who dislike the iPhone's touch keyboard. Both products offer the same radio features (3G, GPS, Wi-Fi, and Bluetooth), although currently AT&T's 3G network is stronger than T-Mobile's. The camera on the G1 (at 3.2 megapixels) is much better than the iPhone's (2.0 megapixels). This page provides an awesome side-by-side comparison of the G1 and the iPhone. A "browser battle" showed that Google's G1 was faster than the iPhone, but browsing with the iPhone is better. The G1 seems to finish loading most Web sites faster than the iPhone, but Apple's intelligent site scaling, "pinch" zoom, and content-aware, double-click zooming make it, in our opinion, a better gadget for browsing the Web. Technically, the G1 phone is considered a T-Mobile product. It is manufactured by a company called HTC and sold with a T-Mobile phone service. However, it runs on Google's Android operating system, and is heavily linked to Google features, such as Google Calendar, Map, Mail, YouTube, etc. Google spent a lot of time manufacturing the phone, and therefore it is established that the phone is a partnership between T-Mobile and Google. The coolest feature is that "the Android will run on any hardware that makers choose to design, and that Android can be expanded in ways that Apple doesn't and will never allow - there's a lot of room to fix and grow." The iPhone is a closed platform, with developers needing to use Apple as a gatekeeper for constrained applications. Android, by contrast, is all about openness: open source (not the whole platform yet, but that's the goal), with a commitment by carriers to allow any phone running any software accessing any service. 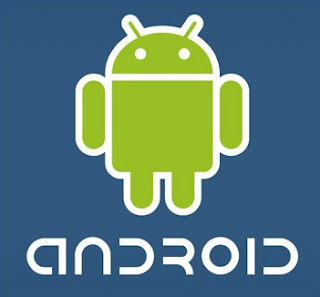 Indeed, the Android operating system is very unique and provides opportunities that not even Apple can supply. Because of this, many people believe that Android may very well represent the future of technology. If the G1 is successful and Android is well-received (which already appears imminent), Android could very well meet this goal. Check out this article: Where Will Android Go Next? When it comes to its new mobile operating system, Android, Google’s dreams go beyond just mobile phones. Indeed, the company is hoping that the open-source version of the software will eventually find its way into a panoply of devices. Here is a video discussing Android. The subject might be a little complex, however, the main ideas are summarized above. The Android operating system is great if you use Google applications, such as checking Gmail and using Google Calendar. It works very well and is extremely easy to use. The camera is awesome! It has an amazing 3.2 megapixel camera that takes sweet pictures. The customizable desktop is really nice. And don't forget: The G1 is cheaper than the iPhone, both the phone itself and the service. The G1 is on sale for $179.00 compared to the iPhone's $199.00. The plan is also cheaper at $60/month, compared to the iPhone's $65/month (for unlimited data plan). Reviews around the Web are very positive for the G1 and Android, with many analysts predicting that the G1 will be a strong competitor to the iPhone. The consensus around the Web is that while the G1 is not as polished as the iPhone, it has amazing potential to grow because of Android's open-source capabilities. This gives it an advantage over Apple, and could prove extremely fruitful for Google in the future. I believe that Android will be very successful, and I'm afraid to say that the iPhone's dominance may be near an end. While G1 success is Google's short-term goal, I think Android will flourish and therefore it's very feasible to imagine Android's wide acceptance into the market in the future (Google's long-term goal). This could very easily catapult Google to an even higher level (and just when you thought they couldn't get any better). Well done Google, well done.